Although we were not fond of New Orleans as a whole...we were fond of the places we went there with the kids. 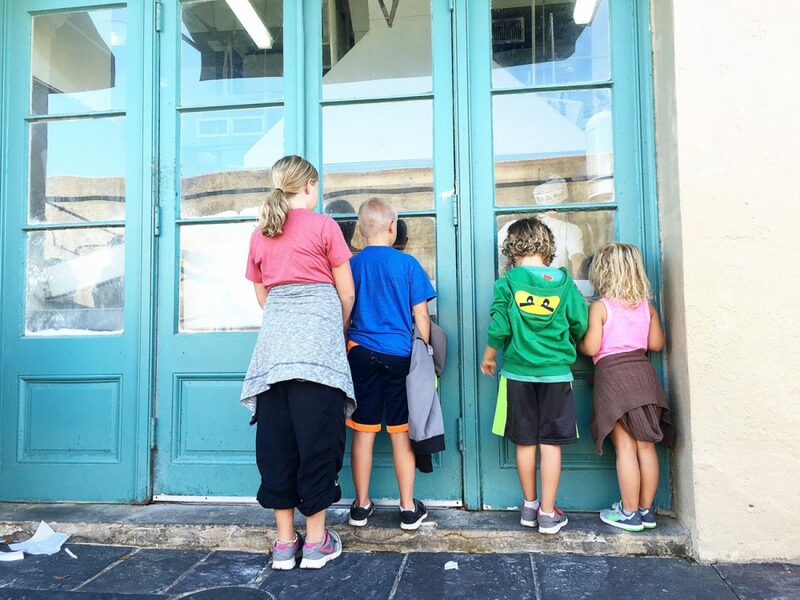 So, here are my top things to do in NOLA with kids. NOLA has a great zoo and it’s rather large. We thought we would be able to get through it in 2 hours but we were there 3 and we didn’t even see it all. There is a lot to do. Not only can you see the animals, they have a water park that’s open in the summer and a large playground to give the kids something to do in between looking at animals. They also have a big cafe. Though it is pricy (as are all restaurants at attractions like this) they had a good selection of food and some healthy foods thrown in there too. Our kids had a blast at the zoo and I’m sure your family will, too. This place was so cool and I’m so upset that we didn’t have must time to spend there. We got there at 4 which just gave us an hour to try to see everything. We were very rushed but the kids had a great time looking at all the creepy crawly things in the displays and cages. It was a really great place and you could easily spend 3-4 hours in there so make sure you give yourself plenty of time to explore the whole building. This place was really amazing and you could easily spend an entire day there. If you go with your kids, it would be beneficial to study some about the war before you go. We haven’t covered it in our studies yet and felt that they didn’t get as much out of it as they could have once we study the war. The museum is several huge buildings with so much information. They have really done the whole thing very well. It’s well worth the price of admission. We will be going back for sure! This place is a bit out of the downtown but so neat. If you just want to get away from the crowds we highly suggest this park. These huge trees are some of the oldest in the area. Not the typical NOLA scenery. Just be warned...the fire ants are horrible! Watch your step, and I’ve been told that you don’t want to stand under the trees in the spring because they have caterpillars that will fall off the tree and sting you! Say what? Stinging caterpillars?? Evidently it’s a thing in NOLA! Choose your steps wisely. Duh, you have to stop here when visiting NOLA. It’s always busy and I’m told the best time to get the beignets are at 3am but with kids, that may not be a feasible choice. But, make sure you go grab an order, or 5 and be on your way!